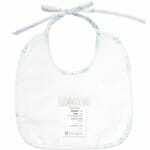 This adorable baby bib by Alviero Martini is made in soft blue colour. 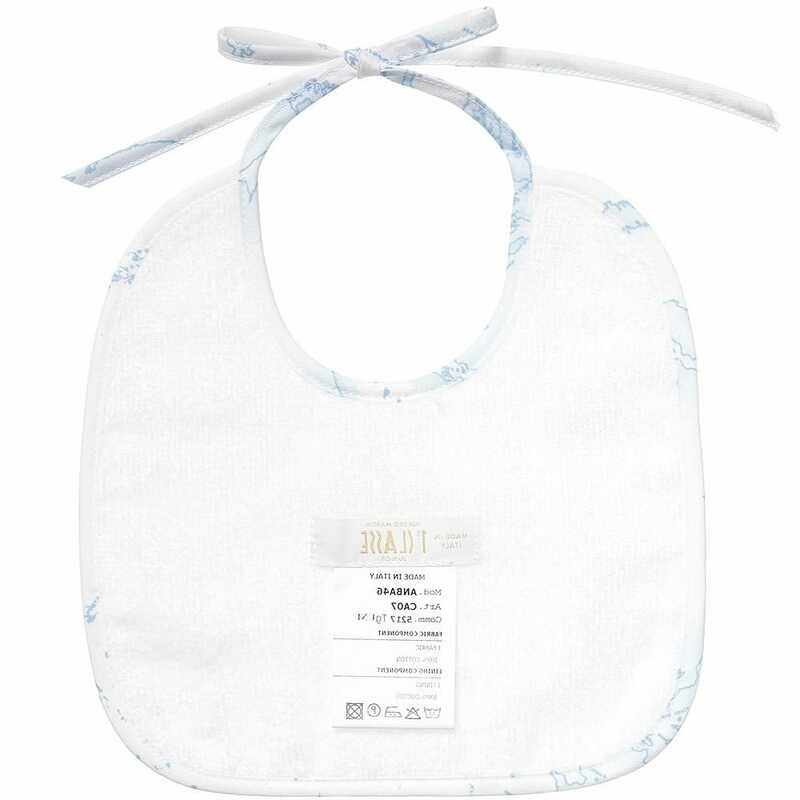 Beautifully Italian made this bib is manufactured from soft cotton and has a towelling texture back. 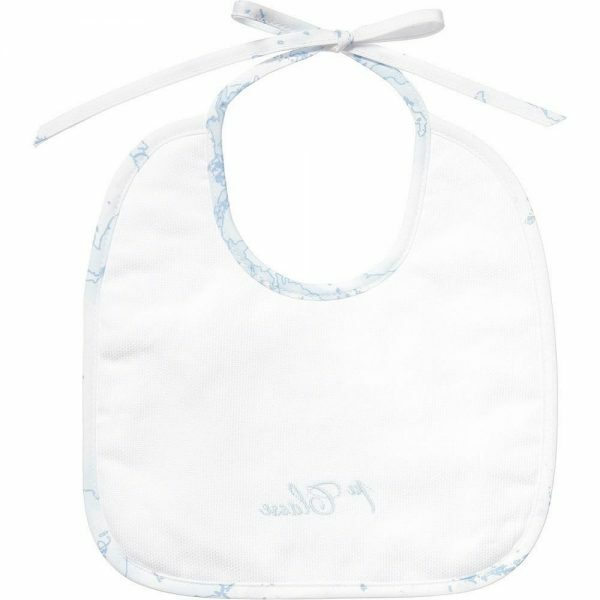 It ties at the neck and decorated with blue vintage map print.